Figure 29. Carrier engine carburetor screen service. (3) Repair or replace parts as necessary. 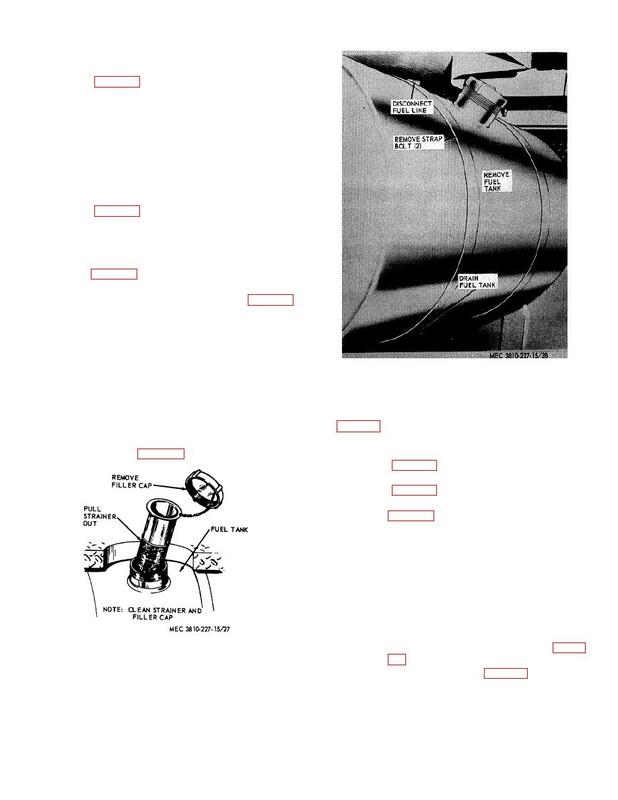 the fuel tank, lines, and fittings as instructed in figure 28. (2) Inspect all parts for defective condition. screen as instructed in figure 29.
improper operation, and other damage. (3) Replace a defective carburetor. Figure 27. Carrier engine fuel tank service. (2) Install the governor (para. 87).